You can purchase the below merchandise when registering for The Sydney Morning Herlad Sun Run Cole Classic or via your TikTok Dashboard after registering. Need the perfect gift idea for your friends or loved ones? We've got just the thing, with a Sun Run & Cole Classic gift voucher. Vouchers are only valid for the 2019 event. Click here to access our gift voucher Terms & Conditions. 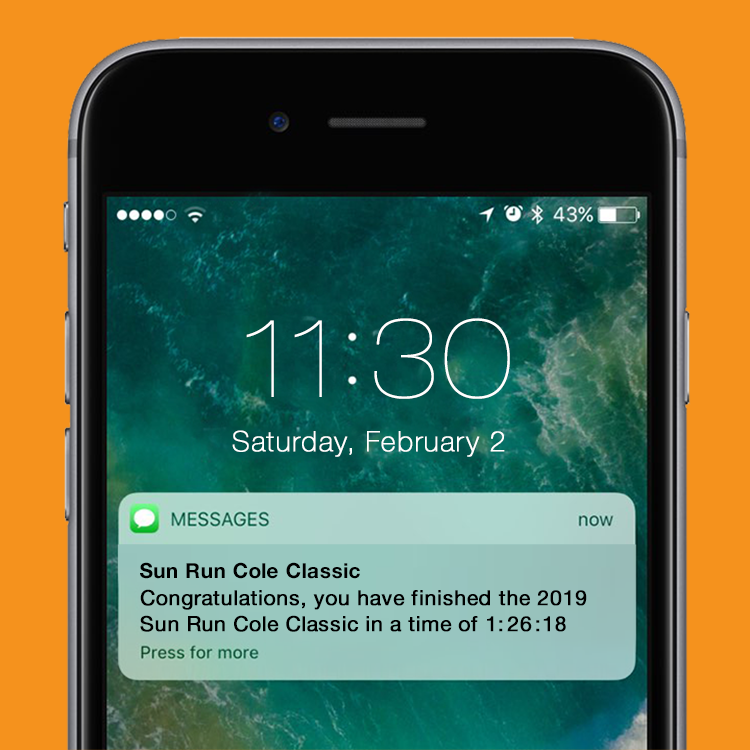 You can also receive your results shortly after crossing the Finish Line with an SMS sent directly to your mobile phone. Simply log into your TikTok Dashboard, select 'My Registrations' and 'Make Changes' to add extra items.